The holidays can be stressful especially if you are hosting, but they don't have to be! Planning ahead and taking a few steps in advance can make all the difference in staying cool and calm before your guests arrive! For years I have been implementing these practical plan ahead tips when hosting a holiday meal; And this year I thought I would my tips with all of you! For years I have been making baking mixes in mason jars and giving them away as gifts to friends and family! It is the perfect way to give a meaningful gift that shows you care, and it is even better when it is a good for you delicious treat! This year I decided to share my mason jar holiday recipes with all of you, hoping that you enjoy making them and giving them away as much as I do! Some of my favorite things to do when I host (or cater for a friends party) is do a food or dessert bar. The great thing about a food 'bars' is that they are easily put together, they please a crowd, and they look simply adorable, making them one of the most memorable parts of any party! Here are some tips and steps that will help you create a dessert and/or food bar that your guests are sure to love! Step 1. Decide whether you want to serve food, desserts, or both. 1. Get a Headcount. Knowing about how many adults and children you will have as guests will help you determine how many place settings you will need, how many sides and desserts you will need, and how big of a turkey you will need (it is generally about 1lb per person, but if you want leftovers plan for about 1.5-2 lbs per person). For those of you that don't already know, my older sister Sarah and her husband Phil are having their first baby!!! It seems like yesterday that I shared the announcement, and now we are only a few months away from meeting our new nephew! I am so blessed to be able to call my sisters my very best friends in the world! 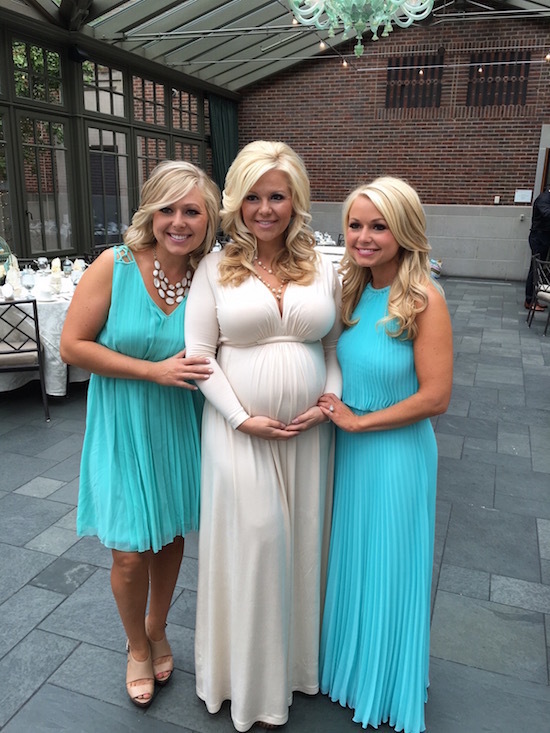 There was nothing more special than to be able to celebrate my sister and baby Robbins! It's hard to believe the holidays (and 2014 for that matter) have already come and gone! It was a wonderful year, and a wonderful holiday season, but I am ready for a fresh new beginning that always comes with the start of a new year! Before we say 'goodbye' to 2014, I thought I would share a few highlights from the previous year, and the Christmas/New Year season of 2014!